An open letter to Alex Cruz. I’m writing to thank you for your continued custom in 2017. Your business is incredibly important to us and we don’t take it for granted. We have learned some lessons in this past year and where we have fallen short, we have listened and are putting things right. British Airways is and always will be a premium airline and we are investing £4.5bn over the next 5 years to give you the best flying experience possible. One example of this is our transformation of the dining and bedding in our Club World cabins. This has started on services to and from New York and will roll out across all routes in the coming year. We are also committed to improving your experience on the ground and have opened a series of new lounges including Gatwick and Boston, opened our First Wing at T5 and introduced premium car transfers between terminals at Heathrow. We know how important it is to you to get away on time and, in the course of last year, we have strengthened our position as the most punctual of the three-big short-haul carriers flying from London. Additionally our baggage performance in 2017 was at its best level for a decade. We are also committed to giving you choice by offering more low fares than ever before. Additionally this month we will be introducing improved catering in our long-haul World Traveller cabin, and we plan to install at-seat power points in all cabins as well as the best wifi in the sky. This year, we will be taking delivery of 18 new aircraft, including our first Airbus A320 and A321 ‘NEOs’ with their significantly improved environmental performance. We will also be operating our biggest-ever route network, with new long-haul services launching to Nashville and the Seychelles. On short-haul, we will be adding the Greek island of Kefalonia to our network – with twice-weekly flights between May and October from Heathrow. Our new summer routes, which also include Figari in Corsica and Almeria, mean we will be flying 39 more routes in 2018 than we did in 2016. And that is without including our new slots at Gatwick. We look forward to choosing which destinations to fly them to, and we will let you know as soon as we can. So, there is a great deal to look forward to for all of us. Once again, thank you for your valued custom, we look forward to welcoming you on board soon and I would like to wish you a very Happy New Year. Given he had taken the time to pen a letter to everyone, I thought I should do the same and write an open reply. So here it is. Thanks for taking the time to send an email to me, and other Executive Club members wishing us a happy new year. 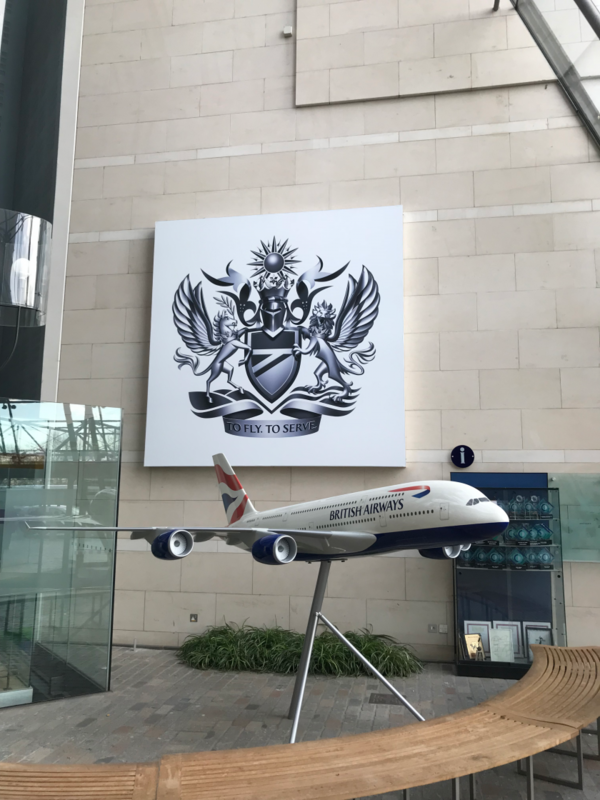 Having been a British Airways customer for many years, a member of the Executive Club for the past eighteen years, Gold Guest List for the past five, and recently attained Gold for Life, felt that it was worth replying to some of the points that you highlighted. You have stopped investing in product. You have stopped caring about customers. When things go wrong, you don’t fix them in a human way. Buy on board is poorly executed, with a worsening selection, and no recognition of elite status. No ability to pre-order, or pre-pay. Club Europe offers no discernible value with dreadful, unhealthy food. Club World is a worst in class seat, with no confirmed replacement and what minor improvements are being introduced, done glacially slowly. First offers a worse experience than competitors’ business class, with no premium ground services. Four aircraft in your entire fleet offer internet connectivity. In 2018. The A320NEO aircraft will provide a worse customer experience and less room than Ryanair. You will not through-check bags on separate records to other oneworld carriers. Not even to other BA flights. Having provided polite feedback (or just moaned) at you and your decision makers for years at Gold Guest List customer events, it’s time for me to put my money where my mouth is and provide KPI altering feedback. My New Years resolution is to fly more Star Alliance, and less British Airways. I fear that this is the only feedback that you will truly understand. I have many friends that are in your team at British Airways. They are truly passionate about what they do, and utterly dedicated to the firm. I desperately want them to succeed, and for British Airways to as well, but I don’t think the small changes you have announced will even scratch the surface for what needs to be done. Both your partners and competitors offer better service, a better product available today, and at a better price, so that’s where I will take the majority of my business. Previous Post: Trip Report Part 1. How many short connections can I cram into one trip and still get my bags? Next Post: Changes to British Airways Gold Upgrade Vouchers. Great response to Alex Cruz. I just wonder what possessed him to write to us all, wishing as a HNY 10 days after the event.